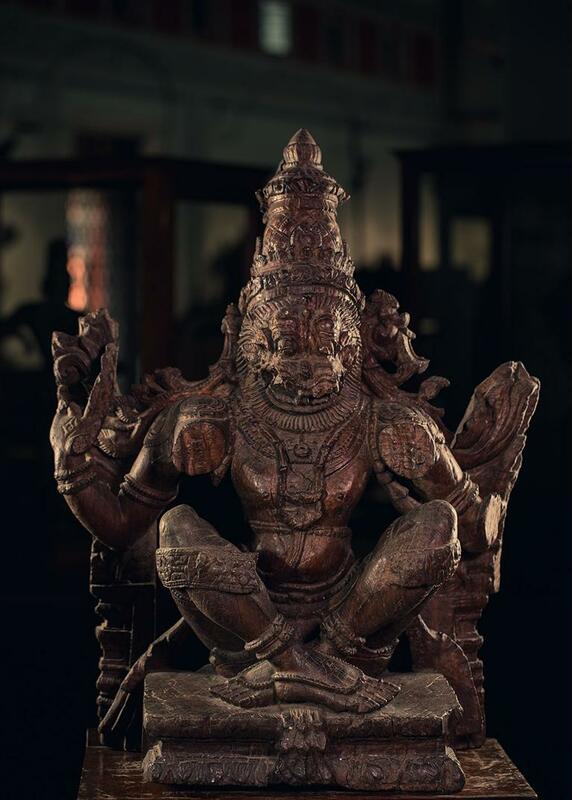 Narasimha is the incarnation of Lord Vishnu. Mythology says that Vishnu took this form to destroy evil and to restore Dharma. This exhibit is one among the stunning pieces of the Museum. The sculpture is four handed and is seated in ardhayogapatta posture. With its delicate and beautiful works the sculpture showcases art at its best.